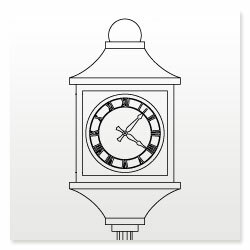 Elderhorst Bells, Inc. currently offers one post style with a variety of optional clock housing styles available. Contact Elderhorst Bells, Inc for additional information. Copyright © 2012 Elderhorst Bells, Inc. All rights reserved.